There’s so much to love about fall. The leaves take beautiful colors; the weather turns pleasant, and the air is filled with the delicious smell of apple and cinnamon. But it isn’t easy to handle children in the fall season. They look for excuses to run to the backyard and jump in the pile of leaves. The best way to keep your child occupied this season is by doing some wonderful art projects with them. 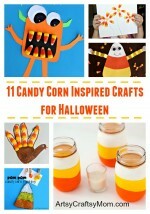 Below is our collection of fabulous fall art ideas to keep your little one hooked this season. Your kids are going to have a gala time doing this splatter paint craft by kokokokids.ru They just need to dip the toothbrush in colors and splatter on the cardstock or screen frame. This autumn handprint tree art from artycraftykids.com is ideal for preschoolers who are learning about the different seasons and the changes that come along. It’s incredibly easy to do and requires just a handful of materials. Here’s a fantastic foil printed fall tree art by munchkinsandmoms.com to teach your child about the transition of trees from summer to fall. While you’re doing this art with your kiddo, let him observe how he can create different effects on the painting just by putting pressure on the foil. If you want to explore art with your preschoolers, you must experiment with painting objects. In this art, mommy blogger from notimeforflashcards.com has used pinecones instead of a paintbrush to teach painting to her little girl. Rejoice mommies! We’ve got a non-messy art project for this fall from housingaforest.com. For this fall-marble-painting, you’ll need some old, tin canisters or oatmeal containers that have ample space to fit in a sheet of paper and of course, paints. This one’s our favorite on the list. For this fall leaf watercolor resist art by funathomewithkids.com, children have to trace the fall leaves on a watercolor paper and then outline the leaves with hot glue gun. Lastly, they have to fill the outline with beautiful, fall colors. Got a pencil and paint? Then you must have your kids try to make this ghost stamp craft idea by CraftMorning.com! 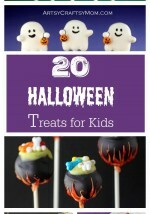 It’s a fun activity to do for Halloween and is not very hard to make. You can also use any color combination as you wish to make your little ghosts unique! 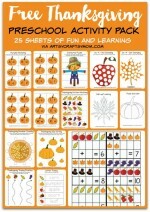 Fall leaf print art, by nurturestore.co.uk is one of the simplest fall arts for preschoolers. Take the kiddos to the backyard to find their favorite leaves and then let them make him this incredible art. Celebrate fall with your children by making these Coffee Filter Fall Leaf Garland by popsugar.com. Create a colorful and easy Fall leaf garland with your tot that will have everyone loving the season. 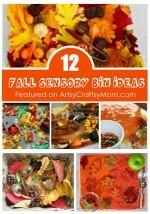 This Finger Print Corn craft is the perfect fall or farm craft for younger children. They may need help cutting out the shapes, but they’ll love to make the corn kernels all by themselves! Do you know what comes along with fall? The spooky, yet fun festival, Halloween! Commemorate the holiday by making this blow art spooky tree by buggyandbuddy.com. Remember, you need to paint the page first before doing the blow art. This candy cone footprint art from rustandsunshine.com is sure to generate many ‘awwws.’ Paint your tiny tot’s feet in white, orange and yellow stripes and ask him to step on a black cardboard to transfer the paint. Finish it off by drawing a smile and placing googly eyes. 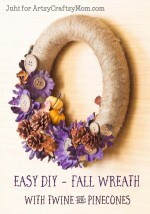 Here’s an intriguing oak leaves fall art idea by flowerpatchfarmhouse.com for your tween. It may look a bit intimidating at first, with all the detailing, but it will get easy as he proceeds. Just as the author of fun-a-day.com says, you can even try experimenting with colors while doing the negative space fall hand art. Instead of using the orange paint, show the kids how red and yellow made the color orange. If you have a toddler at hands, this puffy paint art by kidsplaybox.com would be perfect for her. You can draw the tree outline and let her fill it with puffy paint. Finger paint leaf art is one of the favorite art activities of preschool. In this art idea by minimonetsandmommies.com, kids will learn that painting isn’t just done paper. They can use anything as a canvas to express their creativity, even fallen leaves. Here’s an excellent art idea to bring the excess cotton swabs in use. As the author of thepinterestedparent.com recommends, bundle the cotton swabs together to make it less tedious for the kids. This looks like a fun art to do with the children this Halloween. As the author of frugalmomeh.com states, you need to dip the apple half in orange paint and ask your child to stamp on the paper. Tell him to draw the stem and leaves with green paint. Easy, isn’t it? Bring home the tiniest pumpkin from the pumpkin patch to do this simple pumpkin art by lemonlimeadventures.com with your toddler. To make the task a tad easier, hold the pumpkin as your child does the tracing. This bright and beautiful art by momspark.net will attract even the fussiest of children. Ensure that you get a white pumpkin so that the colors can pop. A faux pumpkin will also do. Apart from entertaining children, these art ideas will also boost your tyke’s hand-eye coordination, fine motor skills and color theory and concepts. So why wait? 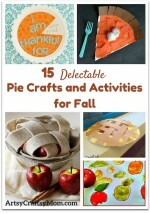 Get started with these fall art projects right away!